Tesla Inc. is recalling 53,000 of its Model S sedans and Model X crossovers globally for an electric parking brake issue, according to a statement on its website on Thursday. A Tesla spokeswoman wouldn't say how many vehicles in Canada are affected. The automaker said it discovered a potential flaw in vehicles built between February and October 2016. 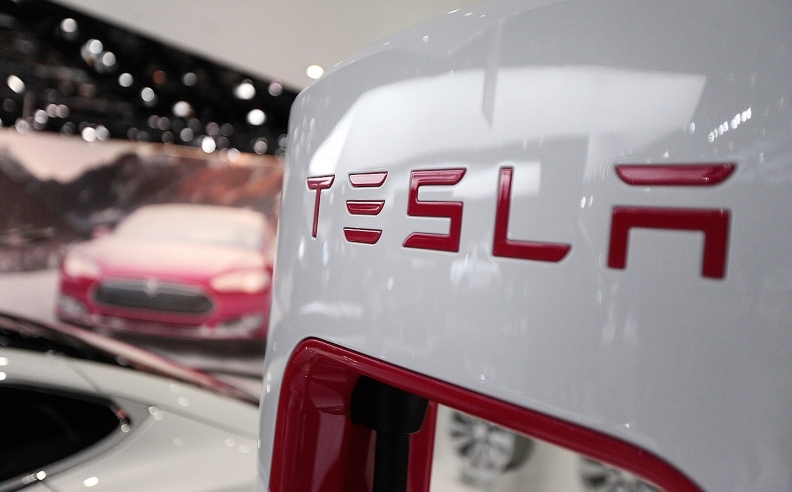 It is Tesla's second-largest recall so far. "The vehicles may contain a small gear that could have been manufactured improperly by our third-party supplier," the staterment said. "If this gear were to break, the parking brake would continue to keep the car from moving, but the parking brake would then be stuck in place." Tesla said less than five per cent of the vehicles being recalled are affected by the potential problem. The statement added: "We do not believe this issue could ever lead to a safety concern for our customers, and we have not seen a single accident or injury relating to it. However, in order to be overly cautious, we are going to be proactively replacing these parts to ensure that no issues arise." Tesla is under closer scrutiny with regards to quality as its market capitalization has surged to rival the likes of much bigger companies such as General Motors and Ford Motor Co. Tesla’s valuation has been climbing in part due to the upcoming introduction of its most affordable car, the Model 3, which will require manufacturing at much greater scale. The Model 3 is slated to begin production in July. Tesla produced almost 84,000 vehicles in 2016 and plans to make half a million in 2018, then 1 million in 2020. Tesla said last year it would recall 2,700 units of the Model X in the U.S. due to a faulty locking hinge in third-row seats. In November 2015, Tesla recalled 90,000 Model S cars because of a single report of a seat belt not being properly connected.